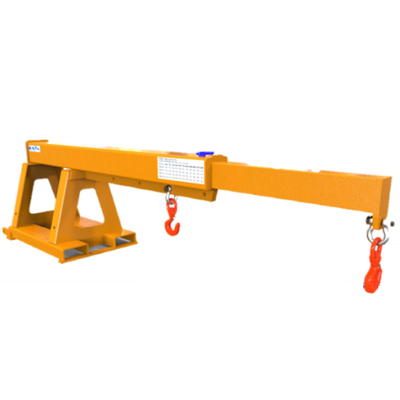 We Al Ameen manufacture Forklift crane Jib attachments, these forklift attachments can transform the forklift in to a multi-purpose lifting device, often preventing the need for boom cranes and hoists while providing the ultimate mobile solution in the warehouse or out in the yard. These Forklift Jibs and Hooks are ideal attachments for a variety of applications in combination with most normal forklift trucks. 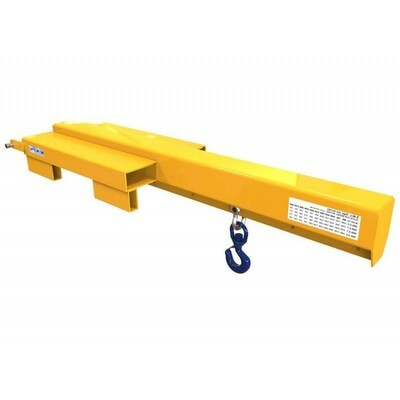 This Fork Mounted Extending Jib are very similar to the normal Fork Mounted Jib, this extending version allows to load and drag of all lengthy and heavy pipes from inaccessible and hard to reach areas. With up to 9 different lifting positions and with the added benefit of two hooks and shackles so as to cradle your load. 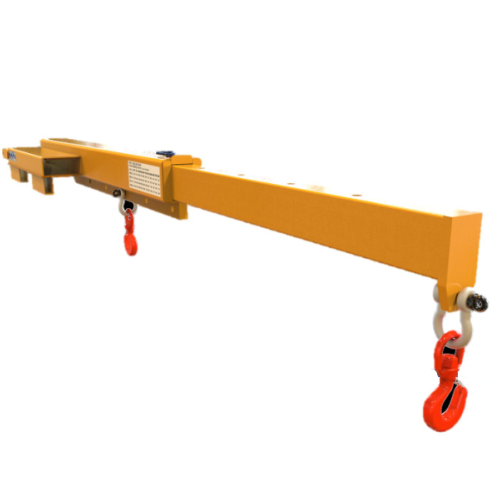 Multi-hook positioning is available from 1 metre to 3 metre load centres. 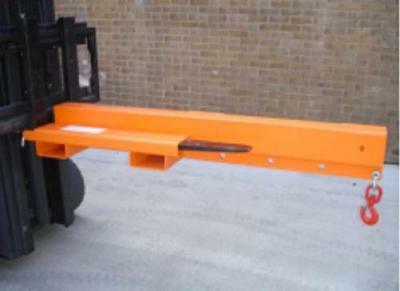 These fork mounted jib's come supplied with two swivel hooks and two shackles to suit the desired capacity of the jib. Maximum fork section 15 x 5 cm at 43 cms Centers. ​The ILP Low Profile Forklift Jib are designed for use when height is at a premium level, the low profile jib allows the movement of long and awkward loads from inaccessible locations, with the potential for 5 different lifting centers. 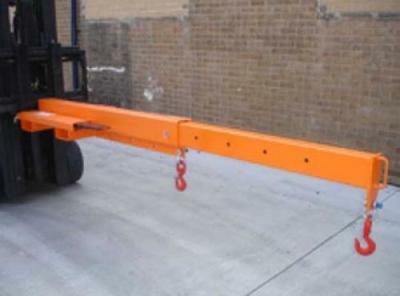 The ILEP Low Profile Extending Jib is similar to the Low Profile Jib, this extending version is capable to the movement of long and lengthy pipes or beams from unreachable locations but with up to 10 different lifting positions and with the added benefit of two hooks and shackles so you can cradle the load.